We have a week off from school each Thanksgiving which gives us time to snuggle up with some of my favorite Thanksgiving books for kids as we start the holiday season. Because of this extra time, I’m always looking for fun and easy Thanksgiving Activities for my kids to do. 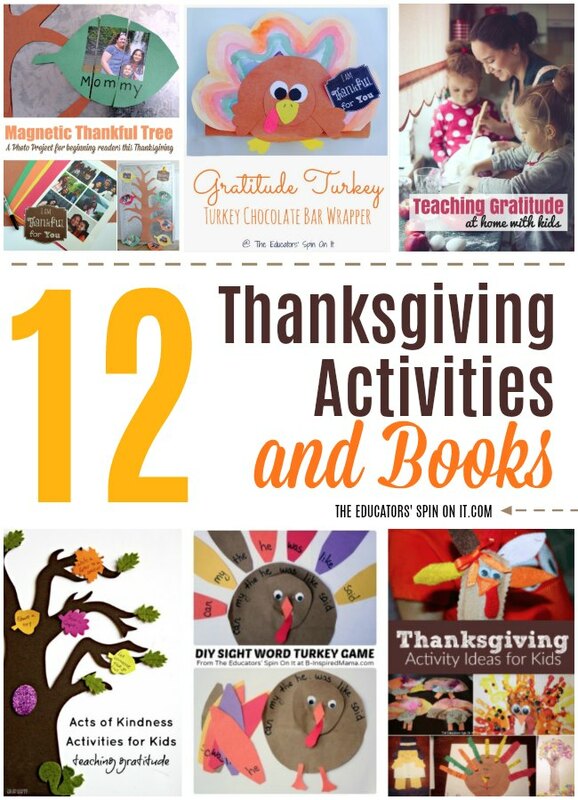 I’ve put together a collection of Thanksgiving Books and Activities for you to do with your child below. Create a Magnetic Thankful Tree to display in your home for Thanksgiving. Keep your little one focused on writing over with these printable Thanksgiving Writing Prompts. Work on household chores and create a new way of Teaching Gratitude at Home with Your Child while getting your house ready for holiday guests. Sneak in learning over the break with these Turkey Learning Games and Activities . Create some colorful turkey crafts with a few Turkey Activities for Preschoolers. Decorate the house with this easy DIY Thankful Banner Idea for Kids . Make a special gift to show someone you’re thankful with this Gratitude Turkey Gift Wrap Tutorial . Create a reading buddy with this DIY Felt Turkey Finger Puppet Craft . Get inspired this holiday season with 12 Kindness Activities for All Ages . Still looking for more? Check out these 40+ Thanksgiving Activities for Kids ! There you have it! Tons of Thanksgiving Activities to do this week as you celebrate the blessings in your life with your child. Here’s my collection of Thanksgiving Books that we like to read together for Thanksgiving. The books focus on turkeys, pilgrims, native americas and gratitude. Disclosure: I’ve added my amazon affiliate link for easy online shopping for your bookcase. I earn a small commission for each purchase you make. Did I miss any Thanksgiving Books that you love? Leave me a comment below so I can be sure to add it to the list! Maybe a bit late for comment but letting others know that your child will enjoy these . Thanks and keep sharing your tips!